The equine dentition (hypsodont) develops differently from that of humans and small animals (brachydont) yet many of the principles of general dentistry are applicable to the equine species. Some are not. 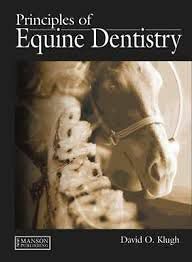 Dr Klugh and his contributing authors identify, apply and evaluate the principles of equine dentistry in relation to the horsetheir similarities and differences. Such a system is of value in terms of vocabulary, biology and disease process. The book s coverage ranges from anatomy, biomechanics and examination to radiology, anaesthesia, trauma, disease and restoration. Top quality colour photographs and diagrams illustrate the text throughout. Principles of Equine Dentistry will be of value to equine dentists, equine practitioners, instructors and trainees, and to veterinary students.